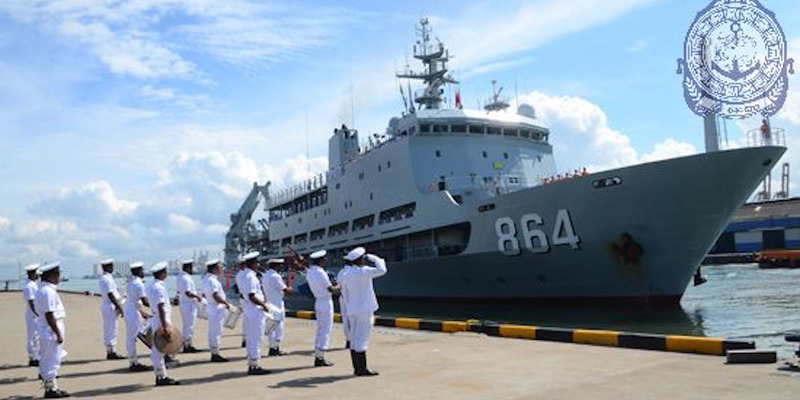 Sri Lanka navySri Lankan navy personnel welcome the Chinese navy ship Hai Yangdao, October 4, 2018. 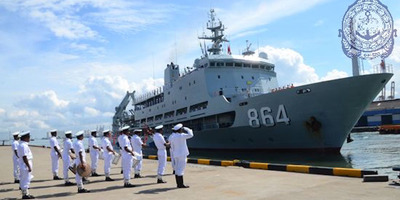 China’s growing presence in the Pacific and Indian oceans has its neighbours on guard, and their competition for influence has kept Sri Lanka’s capital and port city of Colombo busy this month. “Japan’s government is promoting a free and open Indo-Pacific and this deployment in the Asia Pacific is a component of that strategy,” Fukuda told Reuters as his ships sailed to Sri Lanka. Japanese naval vessels have stopped in Sri Lanka 50 times over the past five years, he said. 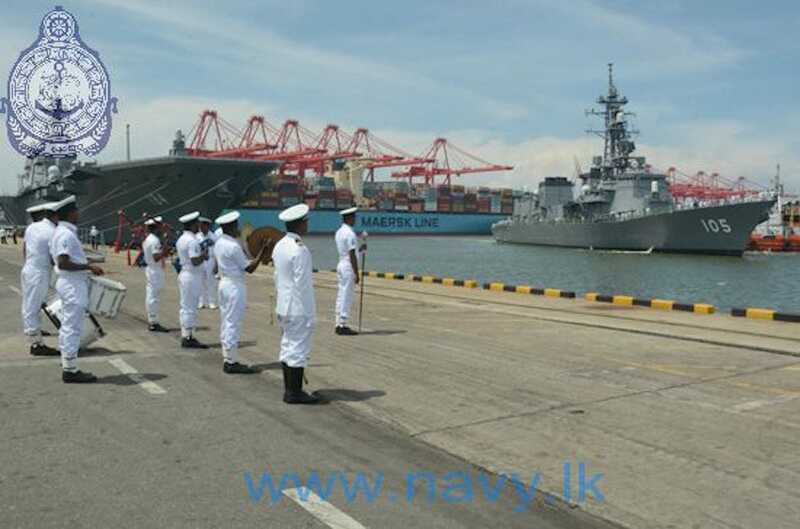 Sri Lanka navySri Lanka navy personnel welcome Japanese navy ships Kaga and Inazuma in Colombo, September 30, 2018. 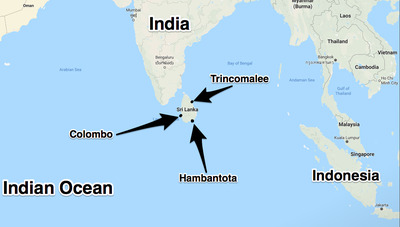 Sri Lanka sits not far from shipping lines through the Indian Ocean that carry much of the world’s container traffic and the majority of China’s energy imports. Its location has made it an area of interest for countries throughout the region. Chinese assistance to the country has grown over the past decade, after the US ended direct military aid over Sri Lanka’s poor human-rights record. Earlier this year, China said it would give Sri Lanka a naval frigate as a gift. Google MapsSri Lanka sits near important shipping lines through which much of Asia’s energy supplies pass on their way to the Malacca Strait. India in particular is worried Beijing will use the port for military purposes – China and Sri Lanka both deny that will happen – and to augment the presence it has elsewhere in the region, including at a port in Pakistan and a military outpost in Djibouti. New Delhi has watched warily as Chinese submarines and other warships have passed through the area over the past several years. India’s security posture has undergone what has been called “a tectonic shift” toward the country’s southern approaches in recent years. On October 6, Sri Lankan navy ships SLNS Sagara, an offshore patrol ship, and SLNS Suranimala, a missile ship,both left Colombo on their way to India for a four-day goodwill visit that was to include training exercises. Japan has also sought a larger role in the Indian Ocean region. Tokyo has expanded security partnerships and plans to spend hundreds of billions on infrastructure projects there –ambitions that rivalChina’s. Yamada Taro/Wikimedia CommonsThe Japan Maritime Self-Defence Force’s Kaga helicopter carrier. The arrival of Kaga was purportedly meant as a sign to Sri Lanka that Japan was willing to deploy major military assets to an area of the world where China’s influence is growing. After the Kaga’s departure, Japan’s navy was to begin four days of joint exercises with Sri Lanka’s navy in the Indian Ocean meant to strengthen cooperation between the two forces. Sources told The Japan Times that it was also meant as a message to China, though a MSDF said no specific country as being targeted. 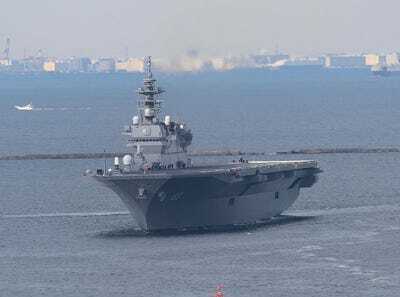 “It’s rare for the MSDF to allow military officials of other countries to board any of its vessels during an exercise at sea,” a public-relations official of the Defence Ministry’s Maritime Staff Office told The Japan Times. 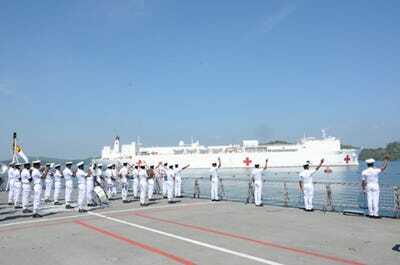 Sri Lanka navySri Lanka navy personnel welcome the US Navy hospital ship USNS Mercy, April 25, 2018. 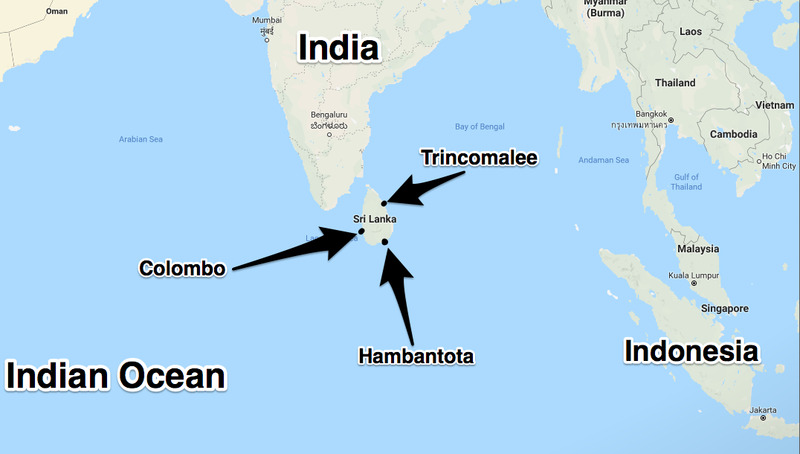 Washington, along with Tokyo and New Delhi, has reportedly taken an interest in the port of Trincomalee on Sri Lanka’s eastern coast as a way to counter China’s presence at Hambantota and around the region. August also saw a visit to Sri Lanka by Japan’s defence minister, who stopped in Trincomalee and Hambantota. That visit came a few months after the Japanese foreign minister visited for the first time in 16 years. “The message to China is that Japan, with India and the United States and of course Sri Lanka, has the capacity to engage militarily,” Nozomu Yoshitomi, a professor at Nihon University and a former Ground Self Defence Force major general who advised the Japanese cabinet, told Reuters this month.